Prosecutors in DeKalb County, Georgia recommended murder charges against a police officer who shot and killed an Air Force veteran who was naked and unarmed at the time of his killing. DeKalb District Attorney Robert James said he would recommend that a criminal grand jury indict police officer Robert Olsen on two counts of felony murder, two counts of violation of an officer’s oath, aggravated assault, and perjury. James said he plans to present to the case to a grand jury on January 21. Grand jurors in October heard evidence in the case but ruled that inconsistencies and contradictions prevented from them from being able to recommend whether or not the district attorney should pursue an indictment. The grand jurors recommended further investigation, according to AP. James said at the time that he had “serious concerns” about the case. Ultimately it’s the DA who decides whether to seek indictment. 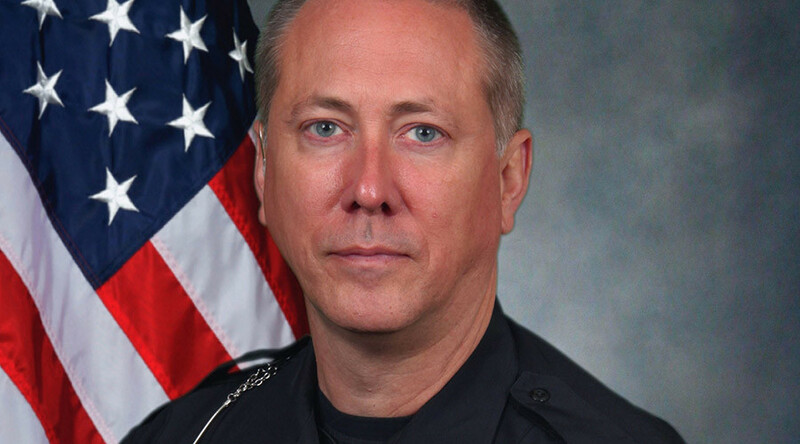 Officer Olsen, who is white, shot Anthony Hill, 27, who was black, on March 9, 2015, when responding to a call of a man behaving erratically outside a suburban Atlanta apartment complex. Witnesses said Hill, whose family said he struggled with post-traumatic stress disorder after a an Air Force deployment to Afghanistan, had raised his hands or placed them at this sides, and that he did not obey Officer Olsen’s instructions to halt. Police said Hill charged at Olsen before he was shot and killed. Bystander videos and photos show Hill was naked, climbing on the sides of his apartment building prior to the shooting. Hill’s girlfriend, Bridget Anderson, and Hill’s family have long demanded Olsen face criminal charges. They thought that wouldn’t happen as prosecutors and grand juries around the country have failed to issue indictments against officers in similar civilian killings, such as in the cases of Tamir Rice, Michael Brown, and Eric Garner. Hill’s family filed a wrongful death lawsuit in November against DeKalb County Police Department, Olsen, the county and its board of commissioners. Officer Olsen has been on administrative leave pending the investigation. The indictment against Olsen comes a day after a Texas grand jury recommended an indictment on perjury charges against the state trooper who he was involved in the arrest of black activist Sandra Bland. 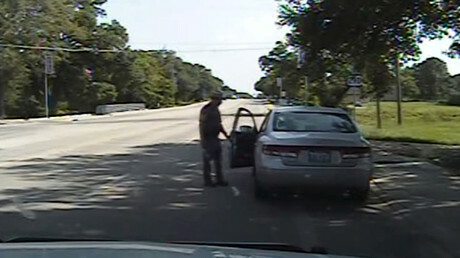 Sandra Bland, 28, was driving in Waller County on July 10, 2015, when she was pulled over the by the Texas Department of Public Safety Trooper for allegedly making an incorrect lane change. Brian Encinia intended to give her written warning, but claimed she became uncooperative and argumentative. He arrested her and took her to jail. Three days later Bland was found hanging in her cell. A medical examiner ruled her death a suicide caused by asphyxiation. If convicted of the Class A misdemeanor, Office Enicia could spend a year in jail and face a fine. Following the announcement of the indictment, Encinia was fired by the department.